Technical Committee on Multiple-Valued Logic, IEEE Computer Society. Oregon Center for Advanced Technology Education. Hotels. Information about ISMVL participant group rates. Schedule of the conference and associated events. Invited talk about quantum computing. Invited talk about Evolvable Hardware. Welcome from the Symposium Chair. Welcome to Oregon, the site of ISMVL 2000. MAY 21 - MAY 23 The Thirty-Second Annual ACM Symposium on Theory of Computing (STOC), sponsored by SIGACT (the ACM Special Interest Group on Algorithms and Computation Theory), will be held in Portland, Oregon. 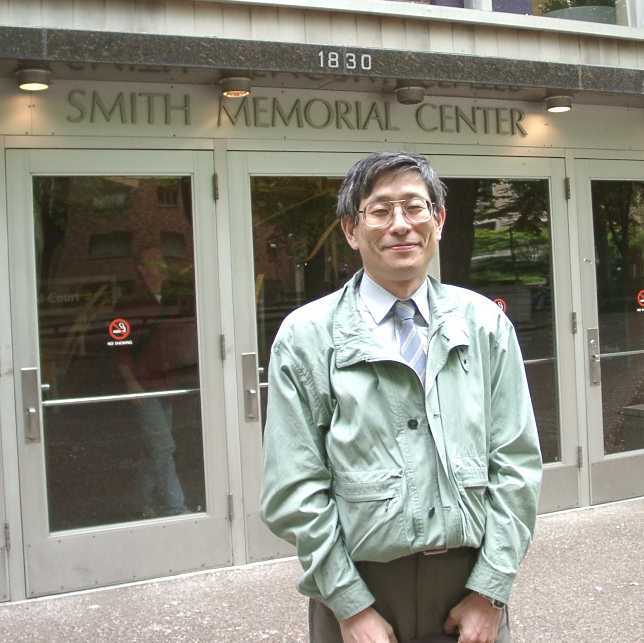 MAY 22 Third Oregon Symposium on Logic, Design and Learning, LDL'00 - Final technical program. 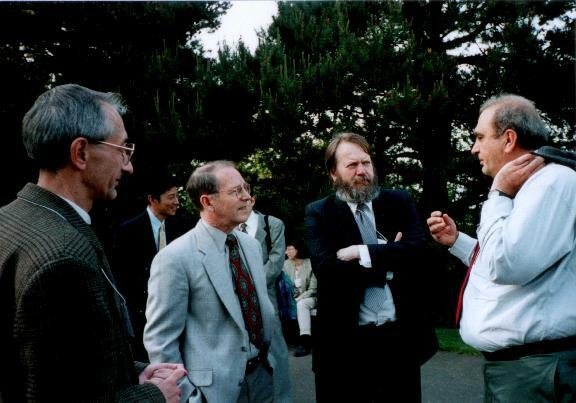 MAY 26 9-th Ultra-Large Scale Postbinary Workshop (ULSI'00). Final technical program. Radomir Stankovic, Dr. Wolf from Oregon Health Science University, Marek Perkowski and Grant Pogosyan. 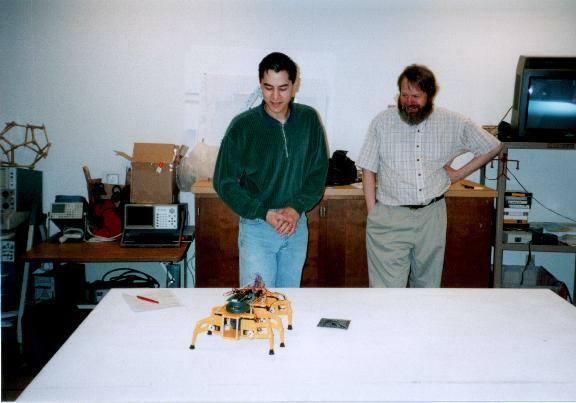 Bryce Tucker, Marek Perkowski, and a hexapod robot.